Optim is proud to partner with government and law enforcement agencies nationwide, providing remote inspection solutions that strengthen their ability to protect our communities. Its innovative contraband fiberscopes enhance an officer’s ability to search inaccessible spaces quickly, efficiently, and safely. 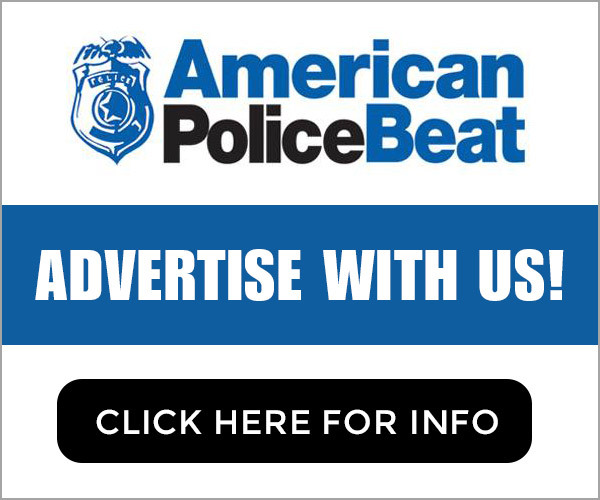 Search and Seizure of Contraband Just Became Safer! With the FreedomView LED Videoscope, law enforcement o­fficers can safely perform visual inspections of vehicles and other areas where contraband may be hidden. Maintain eye contact with individuals and your surroundings while performing searches. Video and still pictures are available with the simple push of a button! Underwriters Laboratories (UL), the leading authority on product safety, has certified FV Videoscope for use in Class I, Division 2 Hazardous Locations. In addition, the FV Videoscope passed Optim’s own fuel compatibility testing for safe, direct use in fuel tanks. No videoscope available in the market today has a more advanced fuel compatibility certification than the FV Videoscope. Priced with your budget needs in mind, the FV Videoscope puts the most challenging inspections within your reach, in seconds. Safety—Conduct safe vehicle inspections, including gas tanks. Superior lighting—Patented OptiLuxTM LED lighting focuses and shapes the light, delivering more brightness where it counts: at the end of the scope. Greater mobility—Lightweight (appox. 2 lbs) ergo-dynamic handle design, the perfect “grab and go” with rechargeable batteries providing power for an entire day of inspections. Easy to use—Intuitive touchscreen, one-handed operation. Lower cost of ownership—Inspections performed quickly and safely. Rugged and reliable—Tungsten braid insertion shaft. 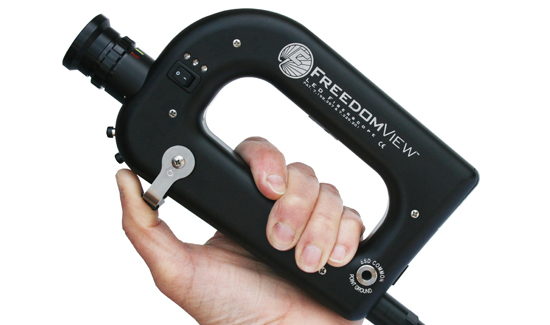 The compact, handheld FreedomView LED Fiberscope transforms law enforcement search techniques, maximizing your contraband seizure potential with the least intrusive method. Our patented, integrated LED light source eliminates cumbersome external light sources while providing exceptional visibility and flexibility. The FV Fiberscope puts the most challenging seizures within your reach, in seconds. Greater freedom—Compact scope is easy to carry and use, with simple, one-hand operation. Yet its bright LED light source and precision optics let you see clearly inside just about any concealed space—gas tanks, dashboards, heating ducts, walls, or behind closed doors—to probe suspect areas quickly, easily, and safely. High return on investment—By improving the effectiveness of roadside and premise searches, FV Fiberscope has helped departments increase their seizure rates dramatically. Reduce search time and risk—By significantly reducing the time required to search inaccessible spaces, the FV Fiberscope enables officers to cover more area with the least intrusive method—helps minimize inconvenience and public complaints. Fit for duty—Constructed in the USA of precision-machined aluminum and is built for rugged duty and the rigors of remote searching. Rechargeable batteries provide power for an entire shift. Find out more at www.optim-llc.com.